In today’s world, kids’ sports are a bigger deal than ever. Eager young football players put a lot into their practices and games — so why shouldn’t you put a lot into their uniforms? With Cisco, giving your team the quality it deserves is easier than ever. We offer custom, high-quality, durable, comfortable outfits for your players. Plus, we cut out the middleman and sell to you directly so that you can get the greatest possible value. We’re so passionate about our products, we’re happy to talk with you about them and the best options for your team anytime. Call us at 1-800-437-1757 to learn more. Thanks to the prevalence and popularity of kids’ football teams today, football jerseys aren’t hard to find. Though when you’re looking for higher quality, come to Cisco. We make our uniforms in-house at our American factory. 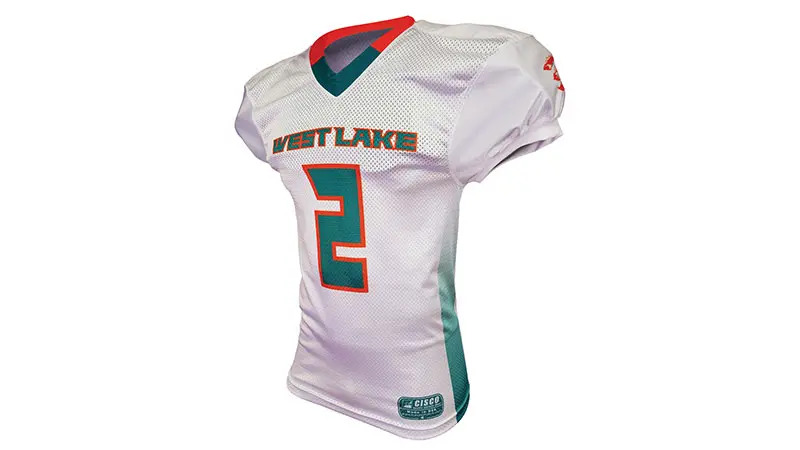 Instead of selling cookie-cutter uniforms made of cheap materials, we’re able to customize products, using the exact same fabrics used by college teams and the NFL. 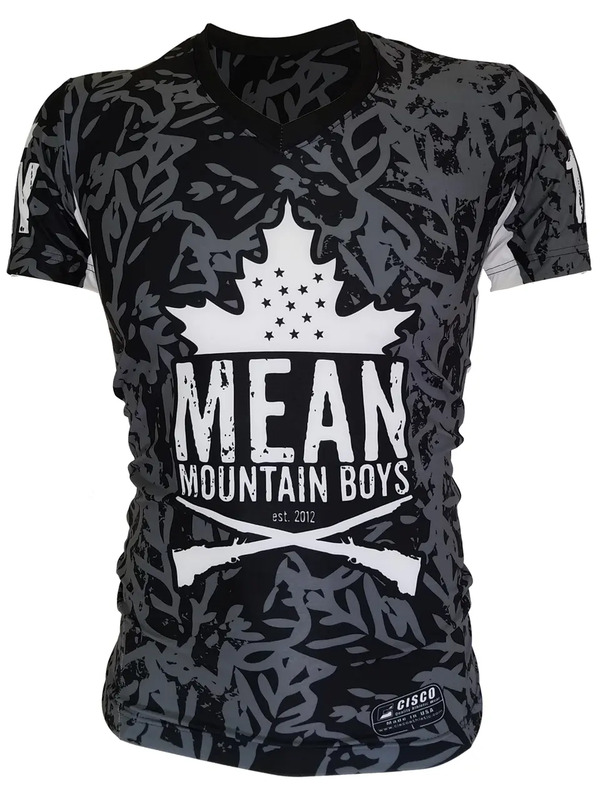 Our youth jerseys, like our adult sizes, are created with full, generous cuts and printed with state-of-the-art methods like sublimation, screen-printing, embroidery or tackletwill. 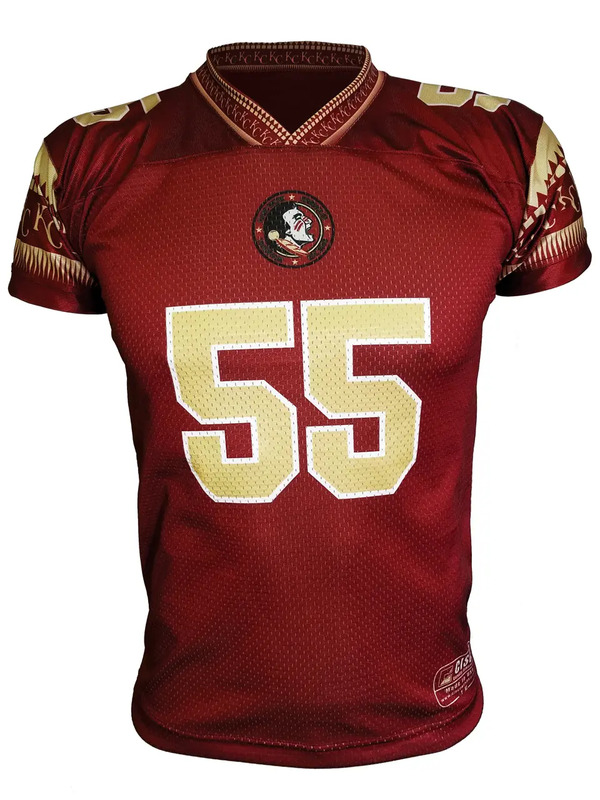 Come to us for all your jerseys, pants, flag football uniforms, practice gear and accessories. Since every product is printed and manufactured in-house, you can count on it to be the best quality available. 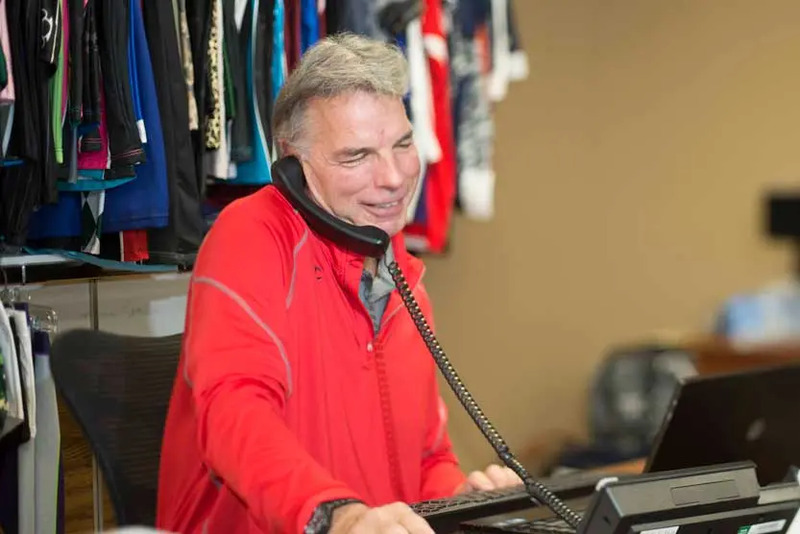 As experts in the athletic uniform business, Cisco is your best resource for youth football jerseys, shorts and accessories. We custom-design uniforms using top-quality materials and manufacture products in the United States. Our products are already in place at thousands of colleges, high schools and youth teams, internationally. Contact us about your team’s needs, and we can help you figure out the right uniform to suit your players. From fabric type to color combinations to style, we’ll help you discover exactly what works best for you.